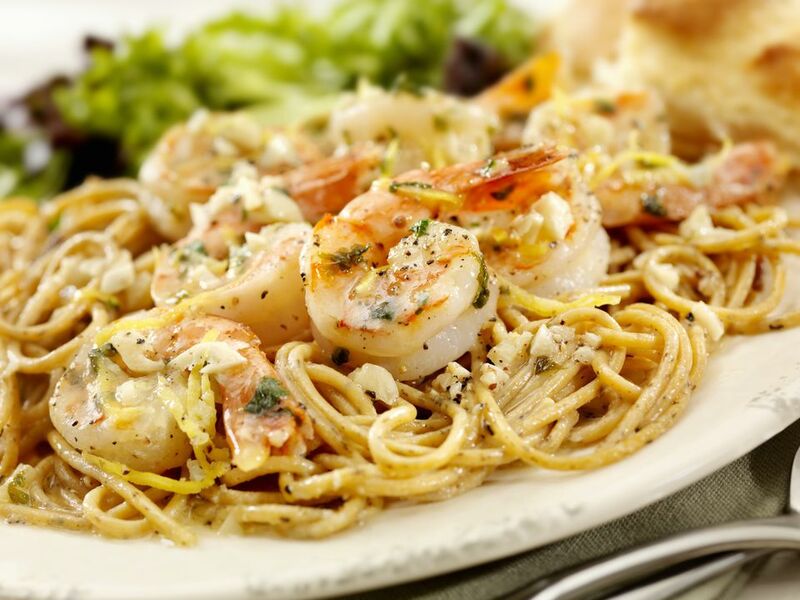 Shrimp scampi is a recipe typically cooked up in a saute pan with a rich, buttery sauce. We take this classic dish to the grill to give the shrimp a light char before hitting the sauce where it will soak up the butter and white wine to make this truly fantastic. The secret is that the shrimp sweat out the water they have been sitting in so they can draw in the flavor. Combine all ingredients, except the shrimp, parsley, and baguettes into a large bowl. Preheat grill and place a grill-safe saute pan on the grill to heat up. (Use a cast iron skillet to really hold the heat.) Try a two-layer fire or high heat on one side and a medium heat on the other. Put the pan over the medium heat. If you fear that the shrimp will slip between the grates of your grill, thread them onto skewers; otherwise place them straight on the grill. Pour the contents of the bowl into the saute pan and give it a quick stir. Once shrimp have started to show grill marks on one side, flip them over. Stir butter sauce mixture in the pan. Butter will start to brown slightly but shouldn't be allowed to burn. When shrimp show grill marks on the other side put them in the pan with the sauce. If you put them on skewers, remove from skewers. Toss to coat. Remove pan (carefully) from grill and place on a hot pad on the table. Sprinkle parsley over top. Eat with baguettes to sop up the extra sauce.